The keys are a step up in account security, but is implementation letting them down? 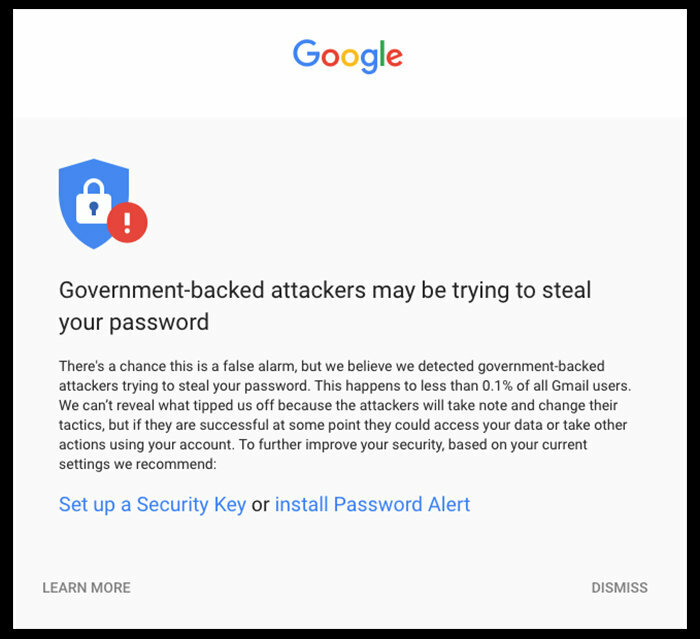 In late March when I got an unsettling message on my Gmail account: "Warning: Google may have detected government-backed attackers trying to steal your password." 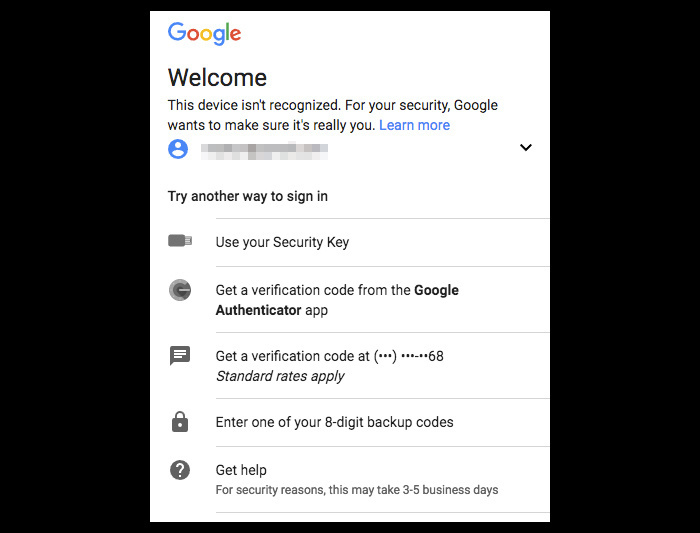 Google sends them out when it detects a "government-backed attacker" has attempted to hack an account through phishing or malware. Last time I saw one, I added two-factor authentication to many of my accounts. This time it prompted me to ask: Can I do even better? A security warning message displayed by Google. It turns out I can. Google suggests a security key as a more secure alternative. These are little USB devices that generate one-time tokens in place of the six-digit codes from authenticator apps. Google supports a format called FIDO Universal 2nd Factor (U2F), which it helped develop. Keys are available that work over USB, Bluetooth, and NFC, so they can be used with a smartphone or tablet in addition to a PC. 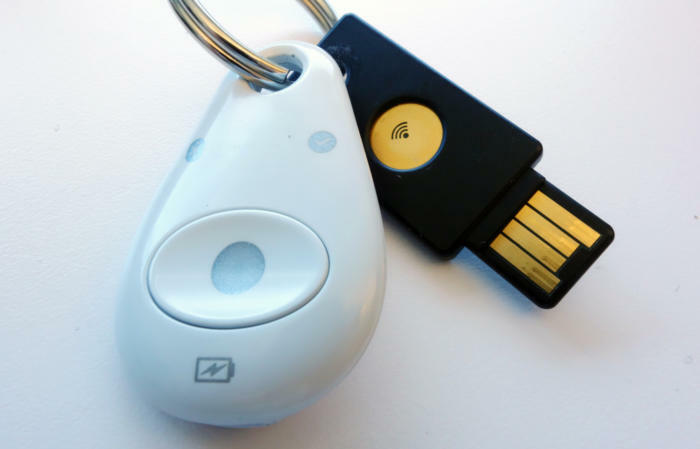 Hardware security keys from Feitian (left) and Yubico. They are really easy to use. First, once you've bought a key, it needs to be registered with the site. When subsequently logging in, a prompt appears after a username and password have been entered. Authenticating with the key is simply a matter of plugging it into a USB socket and pressing the small gold disc. A dialog box greets users signing into a Facebook account protected by a security key. The disc triggers the key to transmit a 44-character code to confirm the login. The first 12 characters of the code are the public key of the device being used and the remaining 32 are a unique passcode for the login attempt. On a smartphone, an NFC key can simply be placed against the back of the phone to send the codes. And that's all there is to it. It's much easier than juggling a smartphone and authentication codes. U2F is currently only supported by two browsers, Google Chrome and Opera. Together, they account for about two-thirds of desktop browsing and are available on Windows, macOS, and Linux, so a good portion of the market is covered, but if you prefer Firefox, Safari, or another browser, you'll need to switch. And U2F only works on a handful of sites and services at present, but they do include some major ones like Google, Facebook, Salesforce, GitHub, and DropBox. Simply securing your Google and Facebook accounts might be compelling enough to add a security key to your key ring because both sites are prime targets for cyberattacks and identify theft. But, if you use an iPhone or iPad, bad news. The keys don't properly work with these devices. You should have no problem with Android. 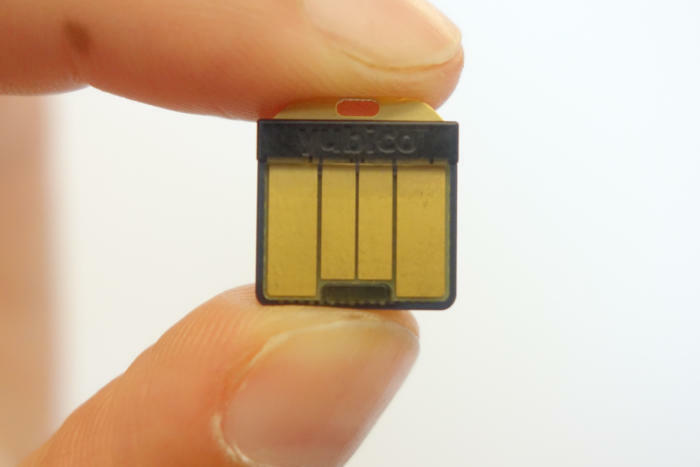 Yubico's smallest key can slip into a wallet or remain in an USB socket. Also consider logistics. With an authenticator app, the codes are wherever your phone is, and your phone is usually with you. With a security key, you'll need to carry it around. The good news is that it's small, very sturdy and easily sits on a keyring. The security key can also be used to protect access to a password manager. The Dashlane password manager supports FIDO U2F, while several other competitors, including LastPass, support OTP, a similar but incompatible standard, so you need to be careful while shopping as not all keys will generate both U2F and OTP codes. Some of the most popular keys come from Yubico and most support both U2F and OTP, but the cheapest of the company's line-up isn't compatible with OTP. 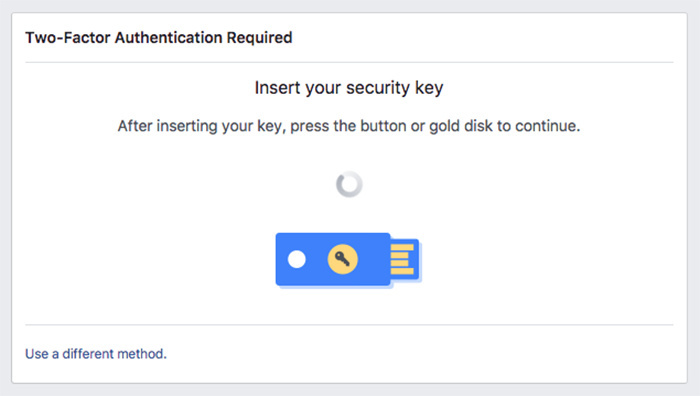 While Google and Facebook both promote security keys as a better way to keep your account safe, both companies have a huge hole in their implementation. Both offer the ability to login using an alternative method, either a code from a two-factor authentication app or sent via SMS. That means your account is only as secure as codes delivered by SMS text messaging, and that's a problem because SMS is not a secure transmission channel. Hackers have already managed to attack bank accounts protected with SMS-based authentication codes due to weaknesses in the protocol. It would be nice if both services allowed users to disable the ability to fall back to other login methods. At a minimum, you'll want to set up account login alerts, so if someone does manage to get into your account through the SMS channel (admittedly, a pretty big undertaking) you'll know about it. Google and Facebook wouldn't comment on their use of security keys. Where can you use security keys? Yubico has a helpful matrix on its site detailing compatibility, and there are a couple of listings of sites that support security keys and the standards they use. One is maintained by Yubico, but the most exhaustive I found was from Germany's Nitrokey, which also sells security keys.